Yep, it's that time of year again. 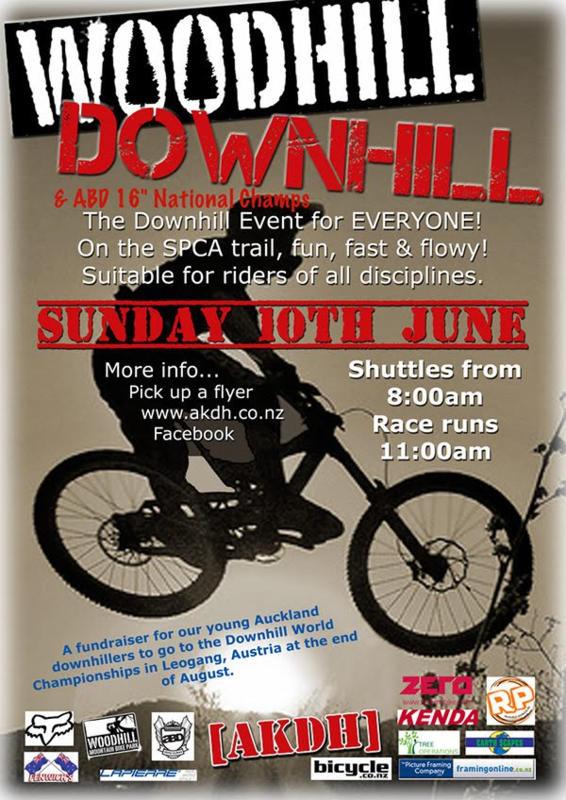 Time for the AKDH annual race on Woodhill's SPCA track. As always this is shaping up to be a kick arse event, with all proceeds going towards getting their junior riders to the Worlds in Leogang, Austria. Out of many competitive bids from all over New Zealand, AKDH are happy to confirm their bid to hold the 2012 16" National Champs was successful. This is a very hotly contested race with some of last year's times being faster than the 26" bikes. The winner will get to keep the infamous 16" sleeveless denim jacket for a full 365 days.